Mobile money vendors have been urged to install closed-circuit television (CCTV) cameras in their shops to help in identifying criminals who may attack them. 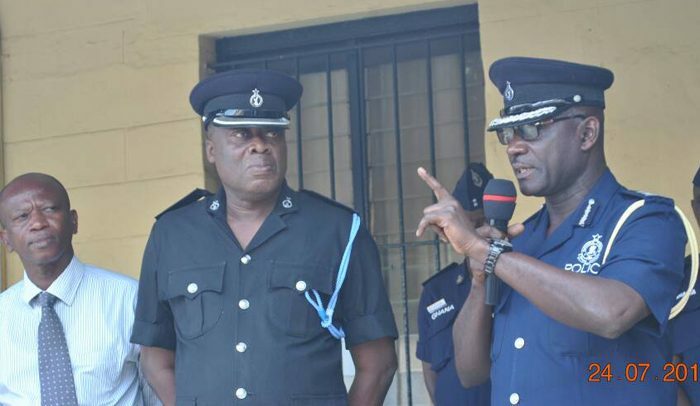 The Accra Regional Police Commander, Deputy Commissioner of Police (DCOP), George Alex Mensah, said the police are doing their best to provide protection for the mobile money vendors. However, they need the help and commitment of the vendors in fighting the criminals. He made this known to DAILY GUIDE after a mobile money vendor at Adabraka had been attacked and killed by armed robbers recently. The suspected armed robbers who were using an unregistered motorbike robbed the victim of GH¢180 before killing him, according to eye witnesses. Speaking to the paper, the regional commander said about 20 police rovers have been deployed to fight robbery activities. He disclosed: “The major problem currently facing the police is information sharing between them and civilians in the event of any attack. Hence, the time has come for civilians to partner the police in the fight against criminal activities within our environment”. He averred that the police reward system is still in place and whoever volunteers information leading to the arrest of such criminals within the communities will be rewarded while their identity will also be hidden. “Our doors are always open to the public to provide information on criminals. What you have to do is to look for your district or divisional commander to give out the information and your identity will not be revealed,” he added. Touching on car snatching which is also taking another twist, the regional commander said the best way to keep our vehicles safe is to install car tracking devices on the vehicle to prevent thieves from stealing it. “Even if such vehicles are stolen, we the police can trace the vehicle using the vehicle tracking system to recover it,” he assured the public.